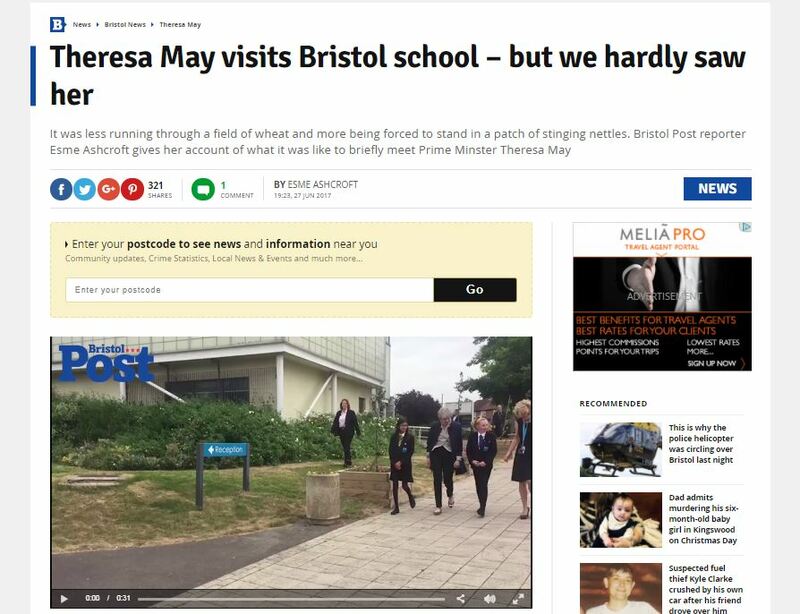 Bristol Post reporter Esme Ashcroft has said that covering Theresa May’s visit to a local school was like “being forced to stand in a patch of stinging nettles”. Ashcroft wanted to question May about a new training programme designed to support pupils with mental health problems, the reason for which May visited the school. She reported that the Bristol Post was originally told it would not be able to ask questions and that on her last visit to Bristol May took three questions from journalists that had been chosen in advance. After protests journalists were granted one question each. Ashcroft reported that the press team then flip-flopped saying “no”, “yes” and then “yes, if there is time”. She said they were intially told they could not film their own question, before eventually being allowed to film. Ashcroft writes: “But the reason for this behind-the-scenes piece isn’t to moan about her lack of sound-bites or headlines, rather, it is to highlight the absurdity of the visit. “It is traditional for journalists to follow politicians and celebrities around when they are notified of official visits, if only to get the much coveted ‘good publicity’ shots of them talking to normal people. 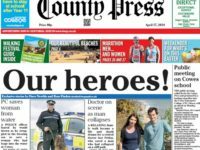 In May 2017 Press Gazette reported that journalist Sam Blackledge from the Plymouth Herald was told “absolutely nothing” in his interview with the Prime Minister.